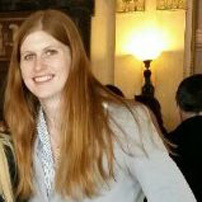 RtE is excited to introduce our new Colorado Regional Coordinator, Danielle Okst. Danielle has been a tireless volunteer for us this summer, active in the preparations for every event and well-versed on every issue. She also comes into the role through a shared connection as she is a college alum of our outgoing coordinator, Jordyn Walker. Danielle is a licensed attorney (NY) and has worked with Thomson Reuters, Western NY Law, Erie County Bar Association, and the Attorney General’s office in both the NY and the D.C. circuit courts. We’re excited at the energy and expertise she brings to the role.